13 nights from £3,949 per person. This trip offers the best of Tanzania; incredible wildlife viewing, trekking Kilimanjaro and the crystal waters of the Indian Ocean. Go on safari at Lake Manyara, before moving on to Ngorongoro Crater, a magnificent UNESCO World Heritage Site and one of Africa’s wildlife hotspots. Trek the Rongai Route to the summit of Kilimanjaro where you’ll see the curvature of the earth, before relaxing on the pristine beaches of Zanzibar. Day 3 – Game drive in Lake Manyara; return to Conservation Area. Day 4 – Game drive in Ngorongoro Crater; transfer to Arusha. 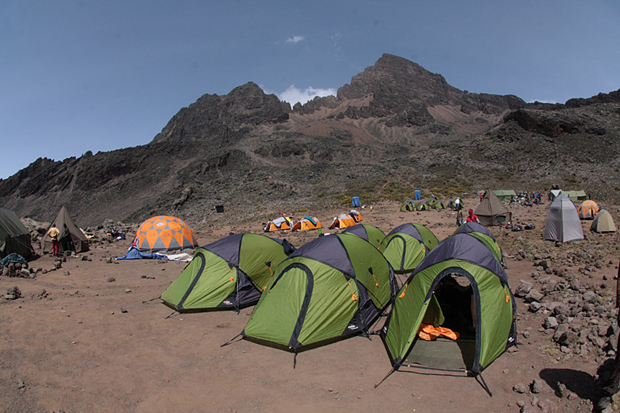 Day 5 – Begin Kilimanjaro ascent through Rongai Forest. Day 6 – Climb to Kikelewa Moorland. Day 7 – Steady ascent beneath jagged peaks of Mawenzi; afternoon acclimatisation. Day 8 – Cross lunar desert of the ‘Saddle’ to Kibo. Day 9 – Early start to reach Gillman’s Point in time for sunrise; on to Uhuru Peak, the highest point in Africa; descend to Horombo. 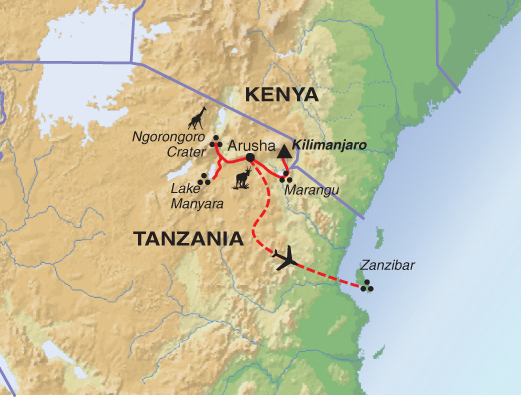 Day 10 – Continue descent to Mandara and Marangu; drive to Arusha. 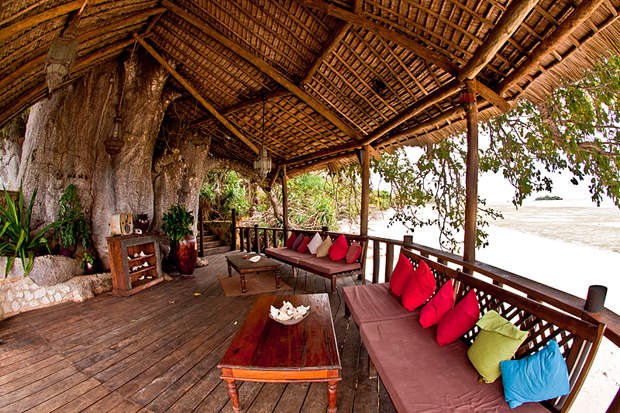 Day 11 – Fly to Zanzibar; transfer to beach. Day 12 – Free time to relax by the beach or explore. Day 13 – Another free day to relax by the beach.